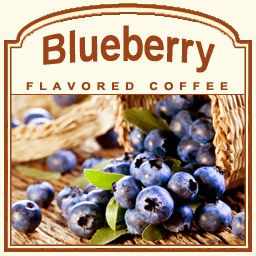 Blueberry flavored coffee is one of the sweetest, most succulent flavors your taste buds will ever experience. For the taste of summer, sip on this ripe, berry-flavored Blueberry coffee has only 2 calories per cup. Made with 100% Arabica beans, Blueberry flavored coffee offers a zesty and tangy sweetness from the first sip to the very last. Heat-sealed in a valve bag, Blueberry flavored coffee will be roasted and shipped on the same day to ensure the ultimate customer satisfaction in quality gourmet coffee. Let your taste buds experience the zing of summer with this Blueberry flavored coffee. Enjoy the fresh taste of ripened blueberries!